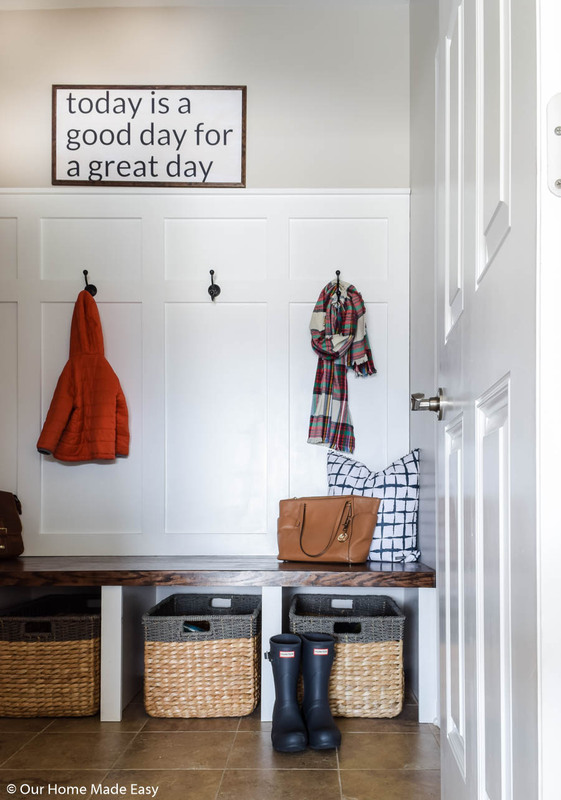 This is the DIY mudroom organization guide for small spaces. 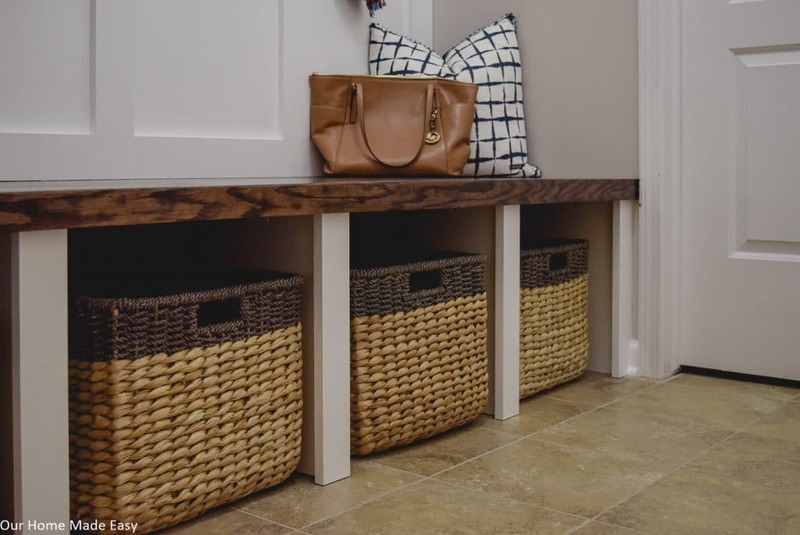 These storage ideas will help keep you organized, no matter the size of your mudroom! 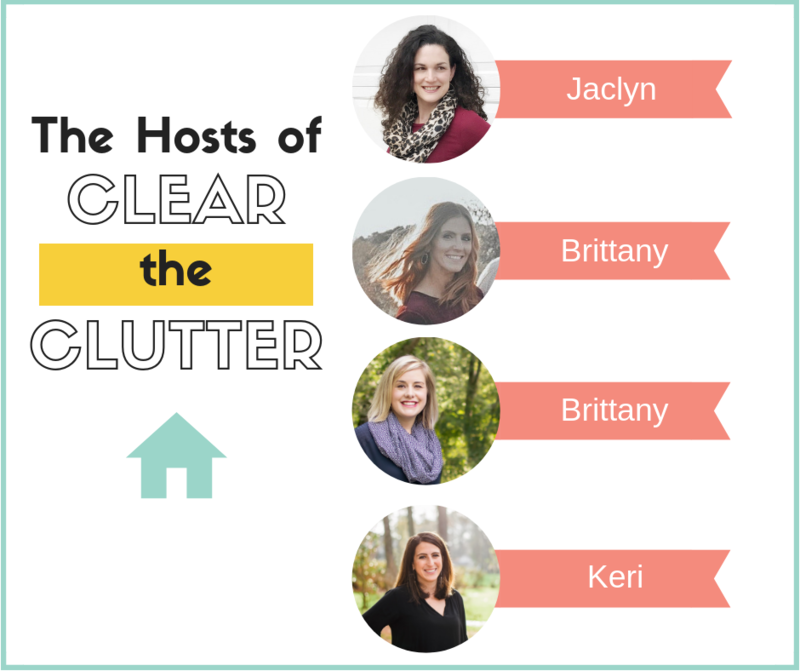 Today starts Week #2 of ‘Clear the Clutter,’ a 5 Week Organization Challenge with a few other awesome bloggers! 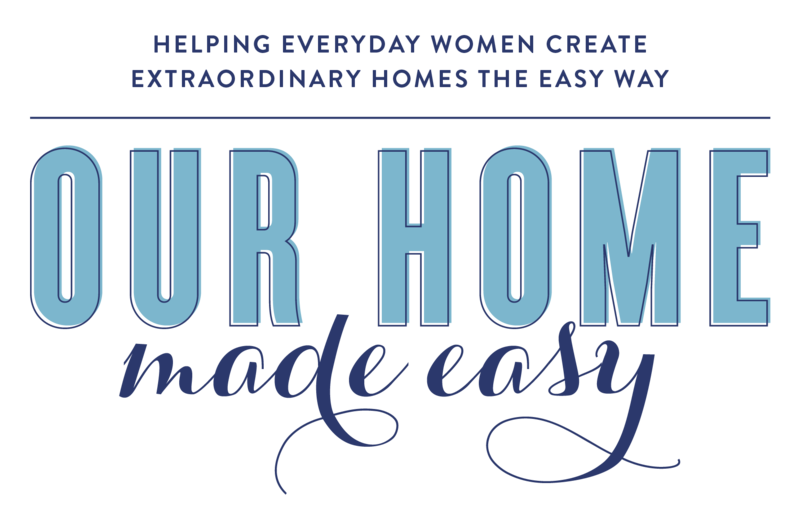 Over the next 4 weeks, we will be organizing our homes with you! Last week we organized our kitchen with my favorite free trick for anyone who needs an easy way to start organizing. 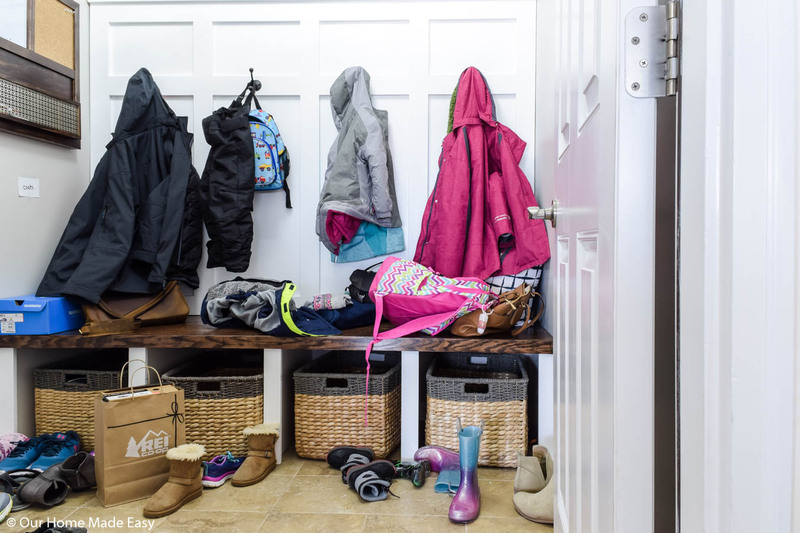 When we built our home our mudroom didn’t look anything like how it does today. It was a little closet room that you walked through in between our kitchen and garage. There was zero storage. No hooks and everything ended up on the floor. After living with the room for 2 years, we finally built some built-in cubbies and a bench. 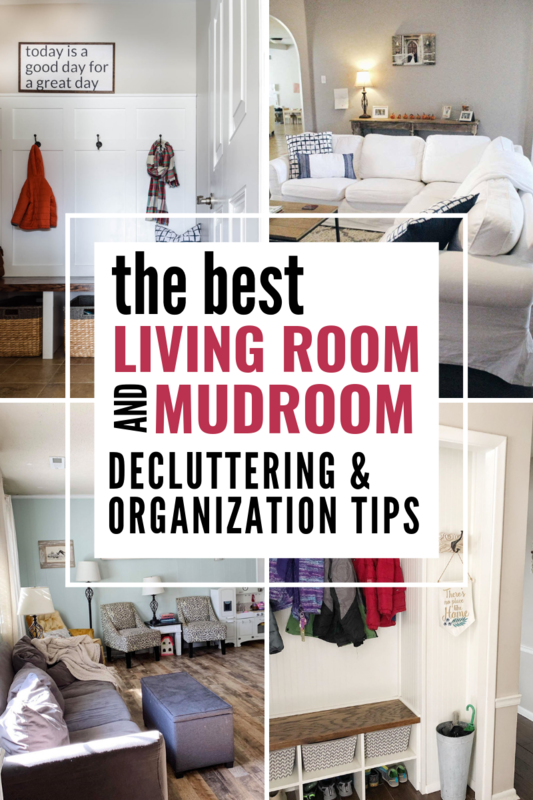 Even though it’s a beautiful space, we still have to keep an organizing system. 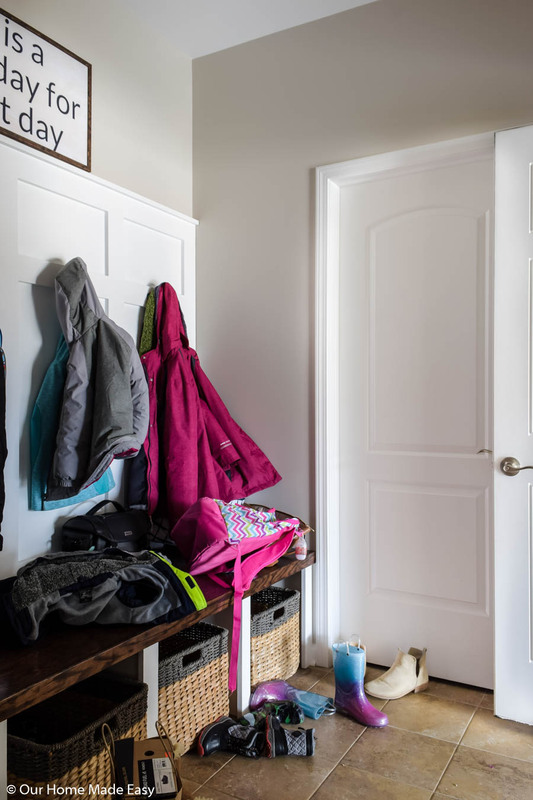 But usually, we can keep it like this with just a few tips in your mudroom! 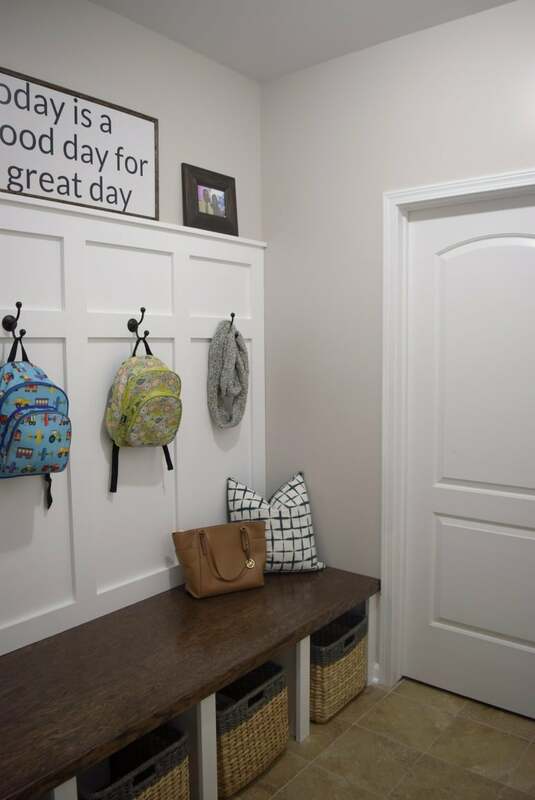 Before you design your mudroom, here is what works well for us. 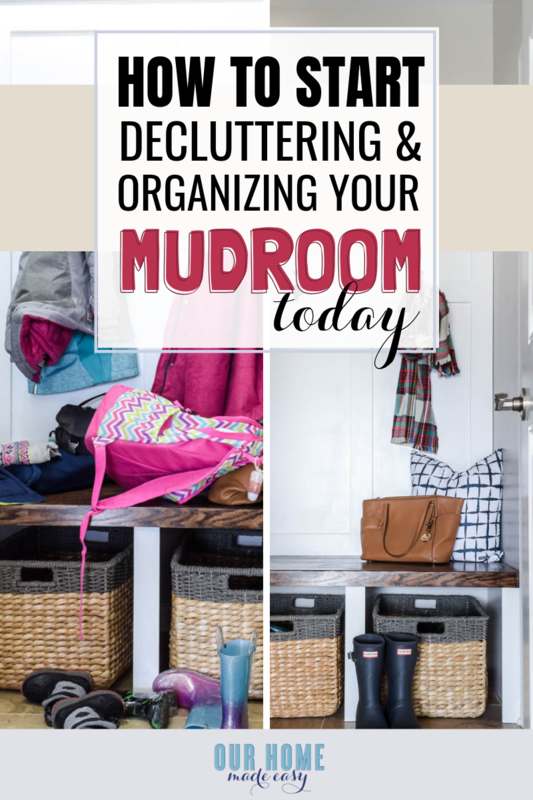 Whether you have a small wall area or a small room, it’s important to declutter your mudroom before you start organizing! I usually take a large blue IKEA bag and gather up all the items that need to go upstairs to our rooms. Most of the time, it’s shoes and left behind jackets. Sometimes we’ll bring in stuff from the car that we bought and it needs to be put away, too. While I’d love to blame everyone else– usually I’m one with the most to clean out! Between needing work shoes & shoes to wear outside for school pickup, I can set the room up for disaster rather quickly! 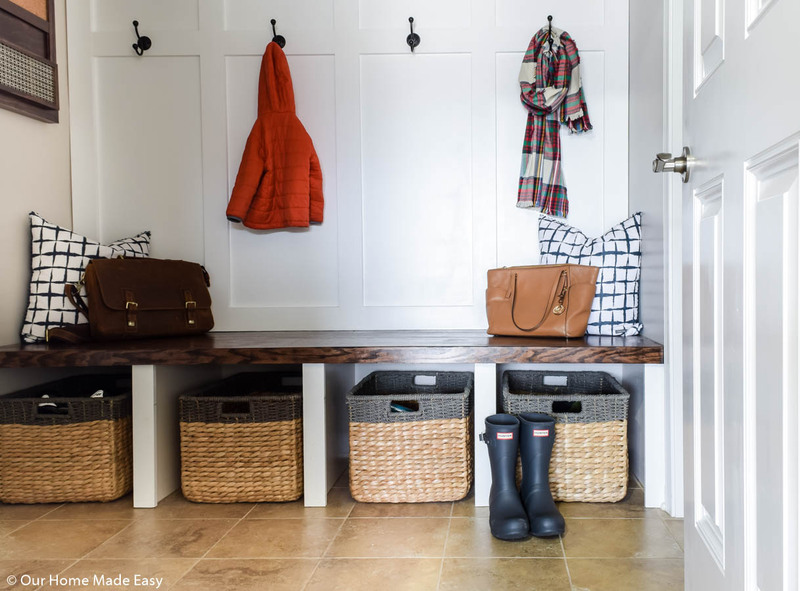 When you are thinking of an organized mudroom, start with a place to sit down & put on shoes to avoid the mudroom mess leaving the mudroom. It could be a pretty refinished chair, a small bench, or built-in bench like we have. You really can’t choose wrong here! If you don’t have a sitting area just yet, keep an eye out for a small bench or chair on a buy-sell website, like FB Marketplace. You can refinish it really quickly with this easy to use paint. Next, think vertically. 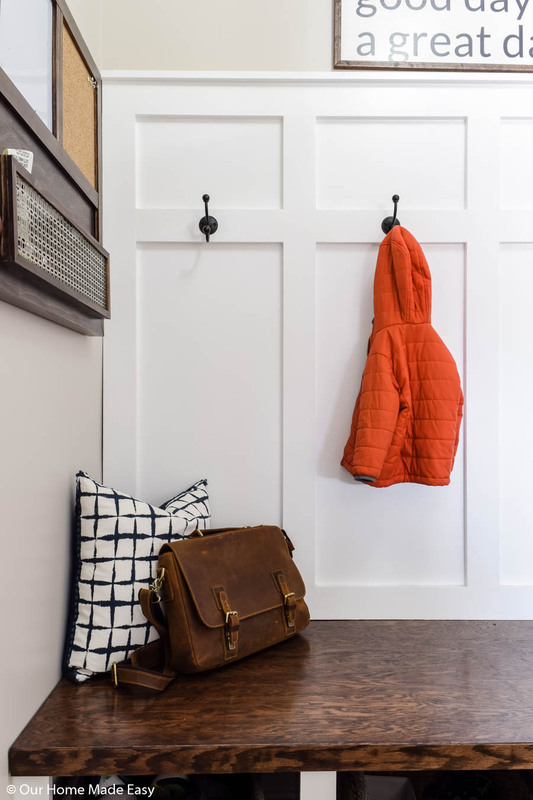 Look at your wall space and consider where you can install coat hooks. 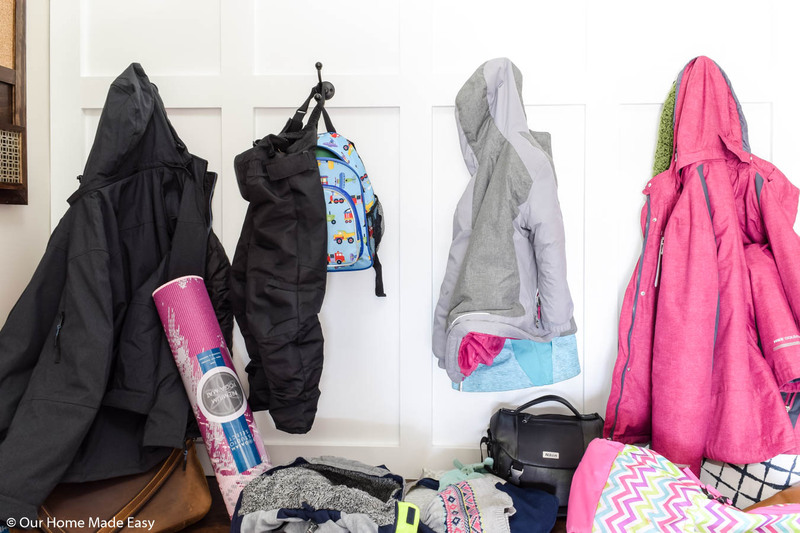 If you can, install enough coat hooks for everyone in the house. Each person has a hook so that we can easily find our bags when we run out the door. 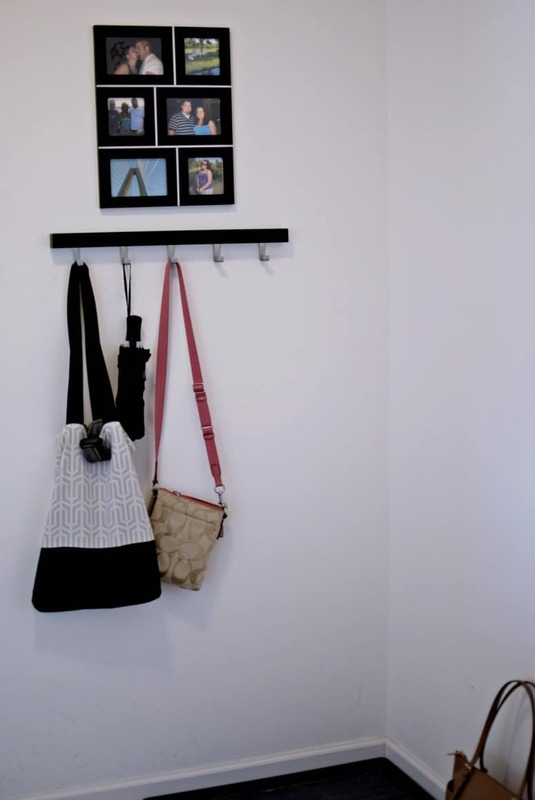 Bonus for double hooks to hold bookbags & scarves. To create the board & batten look, we used the same method we followed in our powder room. Then, we bought the coat hooks for less than $3 apiece at our local hardware store. It was such an easy & cheap project but had such an impact. 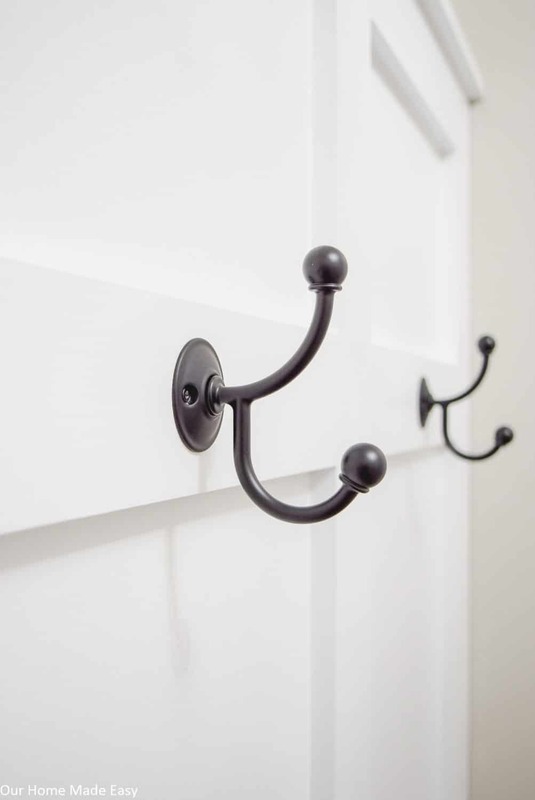 Coat Hooks! Baskets are kinda like the secret weapon of all organization systems. They look great and have a really useful purpose! Think about how you can add a catch-all basket for each person. If you don’t have space for a basket for everyone, 1-2 baskets should be good enough for your family. 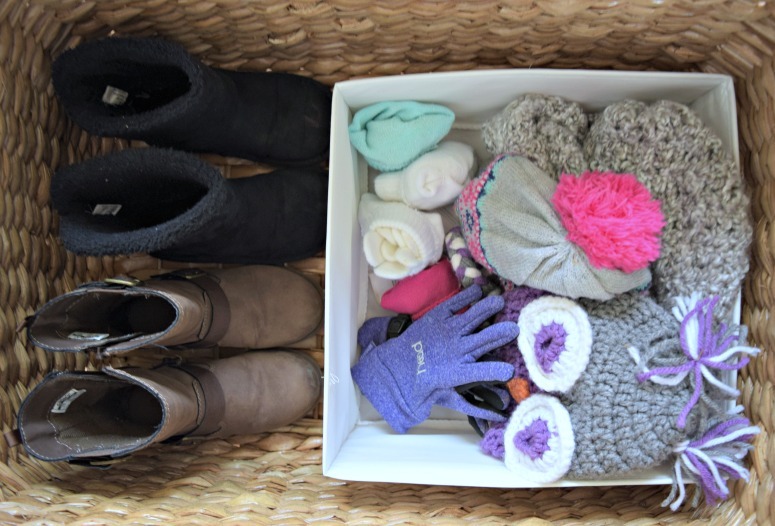 Inside the basket, consider adding smaller baskets to help organize hats, gloves, and extra shoes. We are using leftover drawer dividers from IKEA. They are really inexpensive and I don’t mind if they get beat up. While I try to keep just my winter boots downstairs and take my work shoes upstairs each night, I know that is ALOT to ask of Aubrey & Owen. 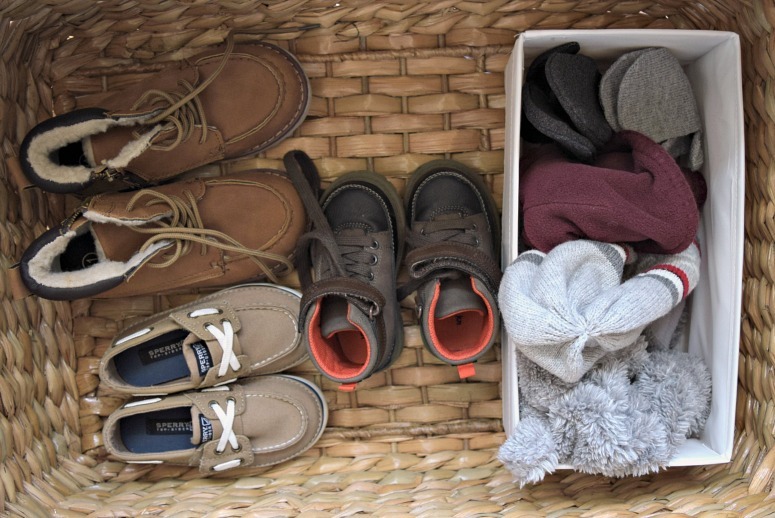 We’ll store their 2nd & 3rd favorite shoes in the baskets so that if they change their mind in the morning, no one is yelling for more shoes. Near the coat hooks, we have a spot to hang the keys. 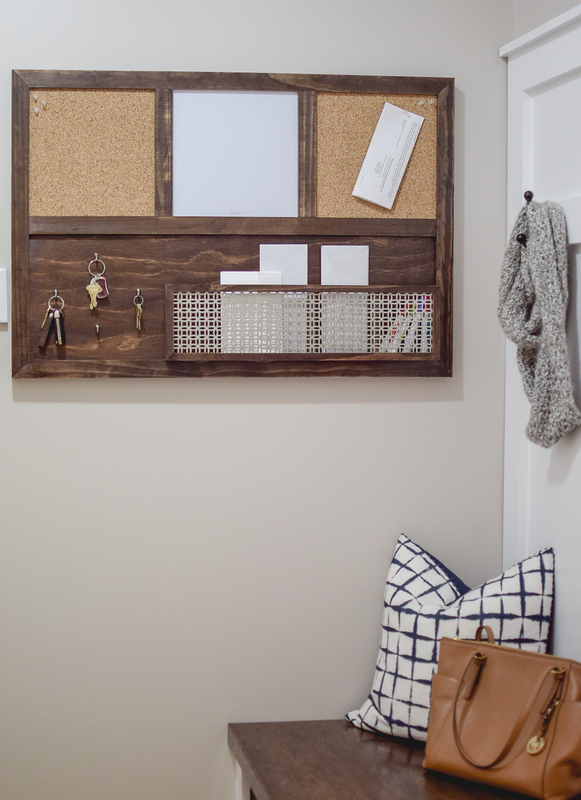 It’s a great spot for keeping things papers organized when you come into the door with all the things! Jordan designed our key ring holder based off of one we found here. 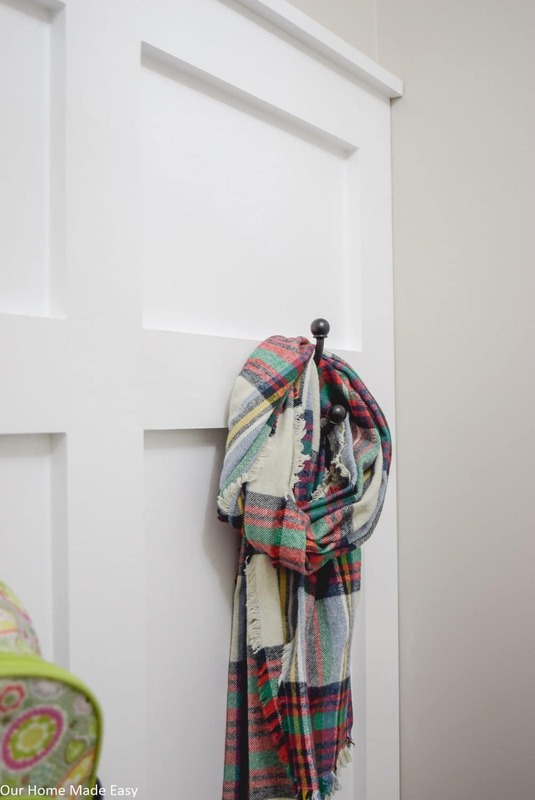 If you aren’t into DIY, you could buy this cute & simple key hook for super cheap! 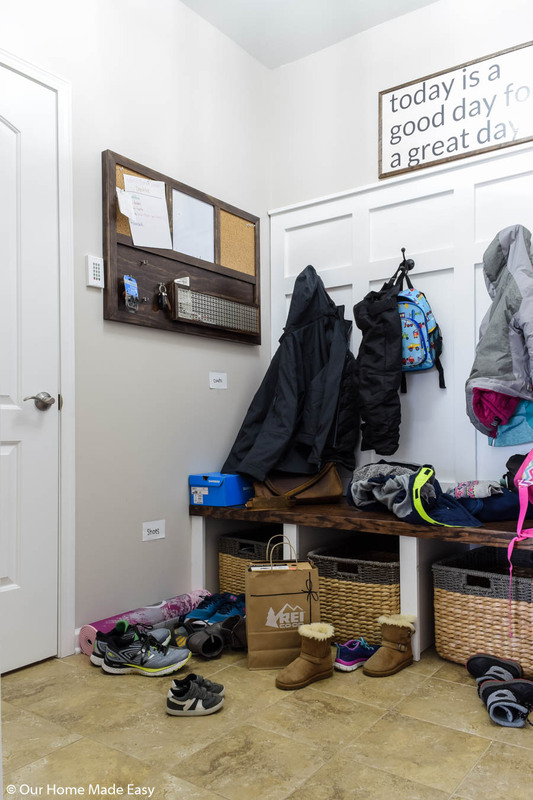 Now that you have a mudroom system, consider keeping only one pair of shoes & one coat at a time. It’s a struggle some days when I wear snow boots and work shoes. But it’s worth the extra effort to keep the space clear. Because no one likes tripping over shoes! 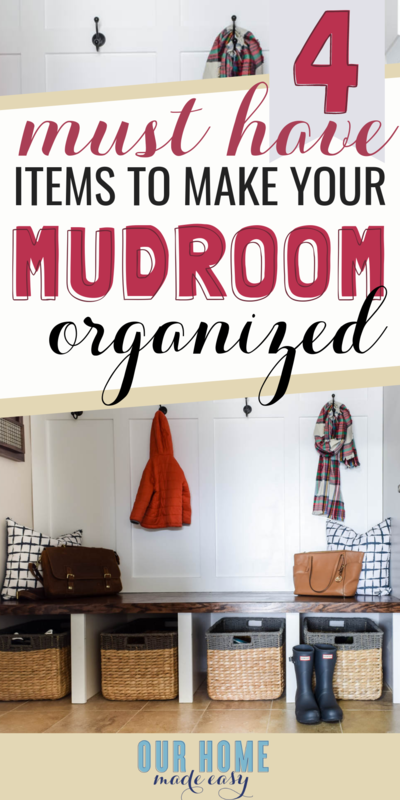 When you are wanting to clear our & organize your mudroom, consider those few things! 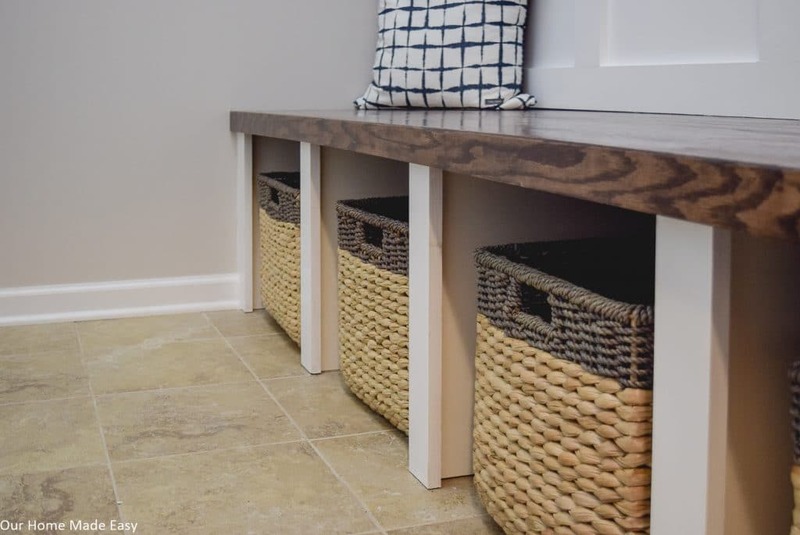 You don’t need much space at all, just a spot for a coat hook, bench, key hook, and basket! And that is week #2! 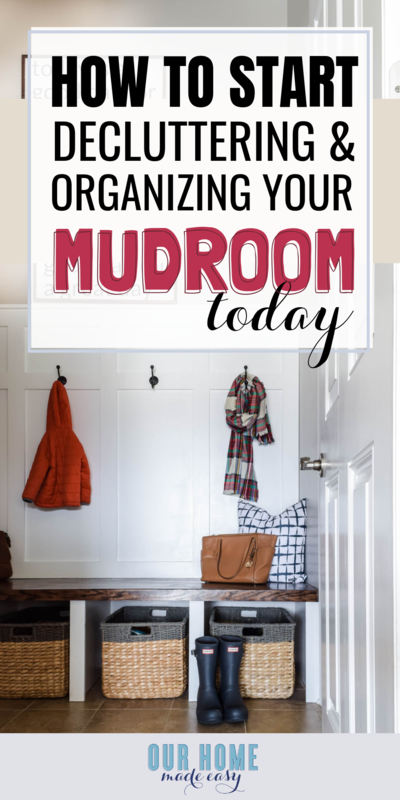 Are you ready to design a mudroom organization system? Let me know in the comments below! And don’t forget to grab your copy of the Clear the Clutter Organization Calendar! It will walk you through each room of your home over the next month. I am so excited to have you join us for the challenge! Keri lives outside of Charleston, South Carolina with her husband and three kids. She is passionate about helping moms step out of survival mode and into a thriving life. She believes moms can thrive, even in the messy parts of motherhood. 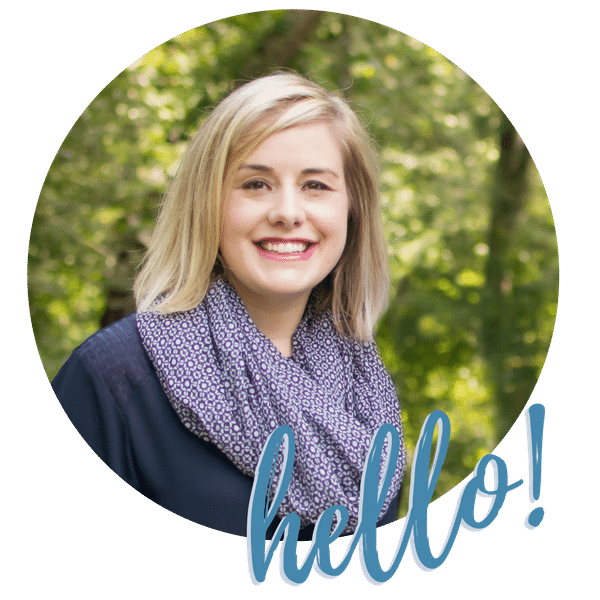 Keri shares helpful tips for your home life, family life, and personal life over at Keri Lynn Snyder.